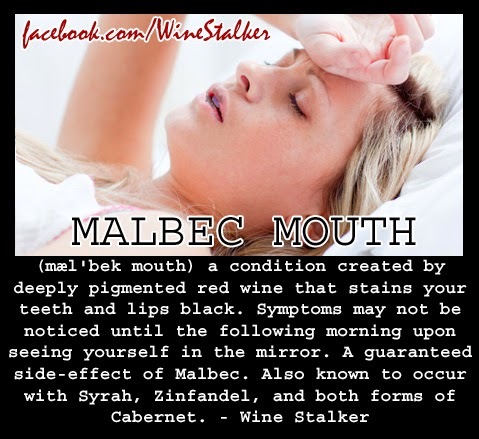 Malbec Mouth (mal'bek mouth) - a condition created by deeply pigmented red wine that stains your teeth and lips black. Symptoms may not be noticed until the following morning upon seeing yourself in the mirror. A guarenteed side-effect of Malbec. Also known to occur with Syrah, Zinfandel, and both forms of Cabernet. CHECK OUT THE REBOOT OF THIS MEME!!! 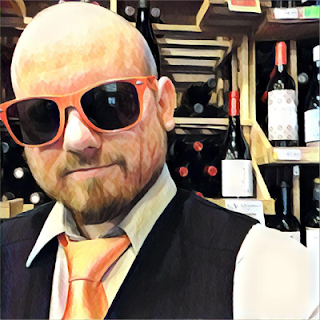 Analyzing wine: Everyone gets better.